Interact Club of Braeburn Mombasa is a youth rotary club; this charity organisation is recognised worldwide. The philosophy of our Interact is to be a place where a group of young, aspiring and dedicated members come together to work with the community and help contribute to changing the lives of people in need. However, on Saturday 4th March we approached the idea of ‘charity’ differently, also deciding to help the environment and conservation through organising a beach clean-up, in Mombasa. We spent 2 hours in the scorching sun collecting rubbish and plastic waste. It most definitely paid off - We managed to gather 20 bin bags full of plastic and other garbage! The participants were also asked to collect sponsorship money that would be donated to the FlipFlopi Project. It was a truly an incredible event and we are very grateful for having the opportunity to help this incredible initiative and will keenly follow the progress going forward. 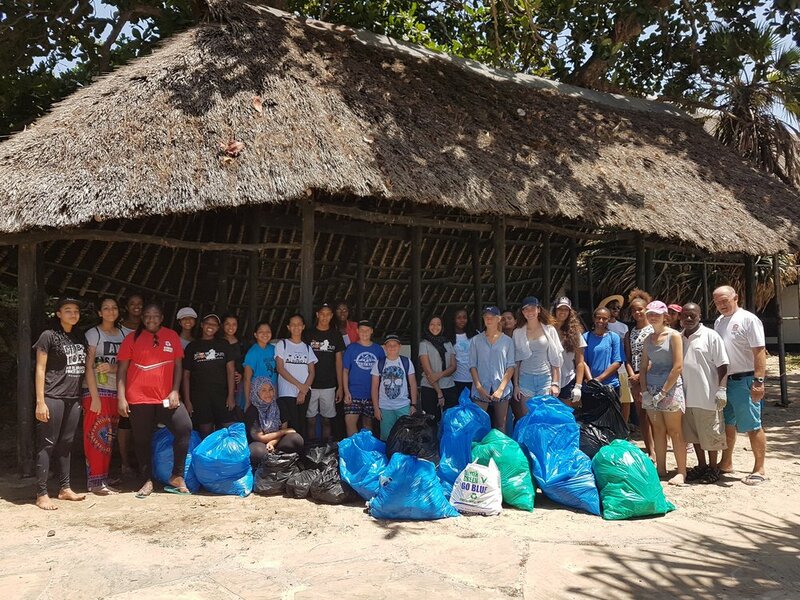 From all of us at the Flipflopi, we would like to sincerely thank Interact Braeburn Mombasa Club and everyone else who participated for assisting us helping protect the environment. Every bit counts! Keep up the great work!